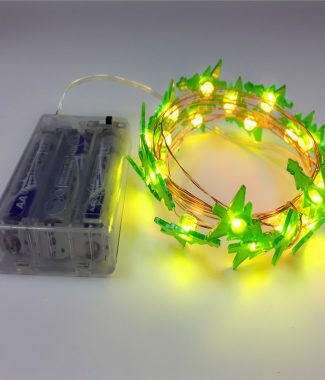 100 LED STRING LIGHTS: These Best 100 LEDs Tiny Micro mini miniature LED Battery Operated String Lights Lamp are perfect for use as a lighting addition to any decorative project.Very thin wire hosts 100 very small LED bulbs that are about size of the rise grain and are intensely bright. With steady 360 degree viewing angle they illuminate in every direction. 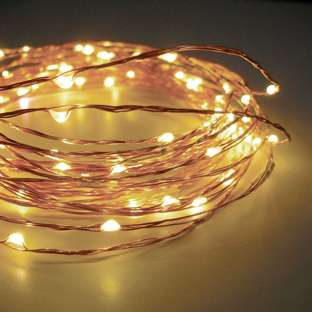 INDOOR STARRY LIGHTS: 100 Super Bright Yellow Colour LEDs Lights on 32 Ft Long Copper Ultra Thin Wire with 4 Inches Distance Between LED Bulbs and Battery Box. 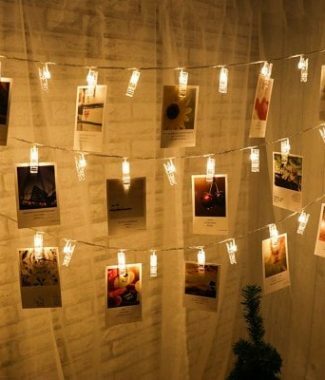 100 LED STRING LIGHTS: These Best 100 LEDs Tiny Micro mini miniature LED Battery Operated String Lights Lamp are perfect for use as a lighting addition to any decorative project. 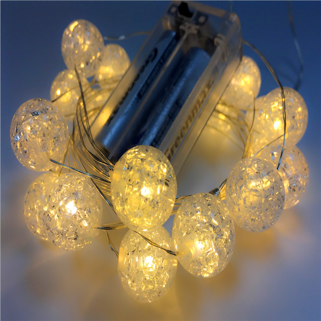 Very thin wire hosts 100 very small LED bulbs that are about size of the rise grain and are intensely bright. With steady 360 degree viewing angle they illuminate in every direction.